The other day I was asked for my enchilada sauce recipe. This is something I've been making for so many years I make it without thinking. I made the sauce again yesterday but kept track of what I did. This is a basic recipe that I would consider a mild sauce. It's not overly spicy and is a good place to start. 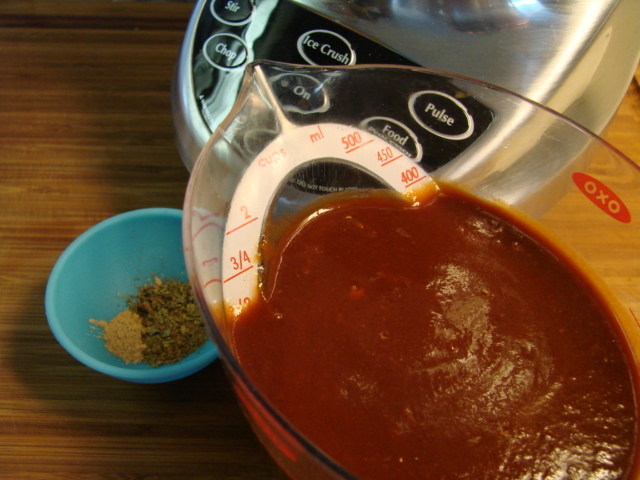 Tweak the recipe to make the sauce your own. I used 6 mild and 5 hot dried New Mexico Chiles. Chiles in saucepan ready to soften. Bring to a boil and ready for flavor adjustments. 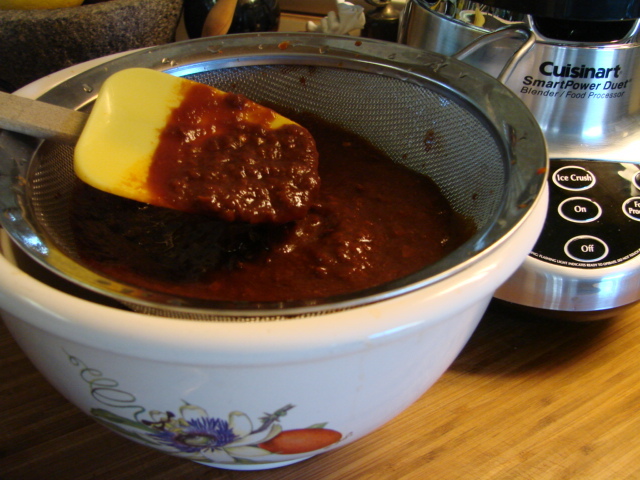 Here is how I make enchilada sauce. Depending on what I'm doing with it, I will spice it up more or will add some chicken broth for a thinner sauce. Rinse off the chiles under running water. Place in a large saucepan and cover generously with water. Bring to a boil then remove from heat and cover. Let stand covered for 30 to 45 min or until soft. Drain chiles reserving soaking liquid. 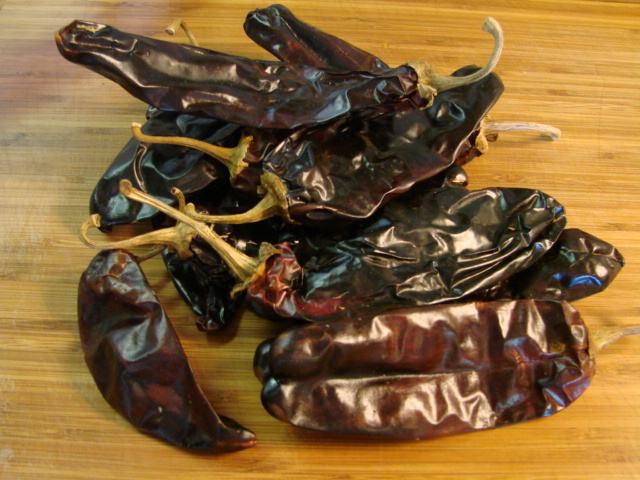 Pull the stems off the chiles and gently rinse off seeds, being careful to not rinse off the delicate flesh also. 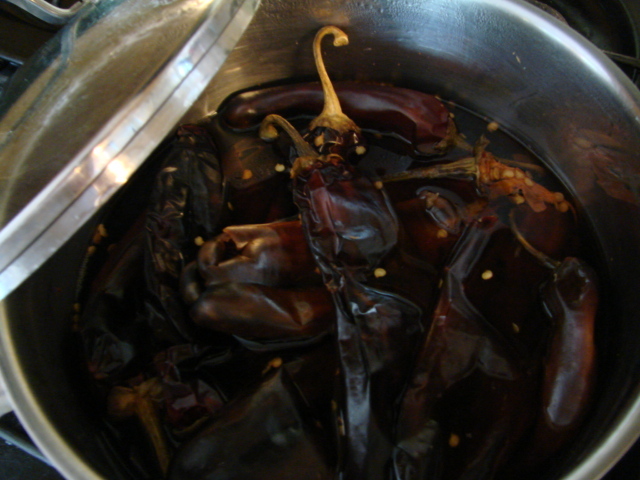 Place the chiles in a blender along with one cup of the soaking liquid. 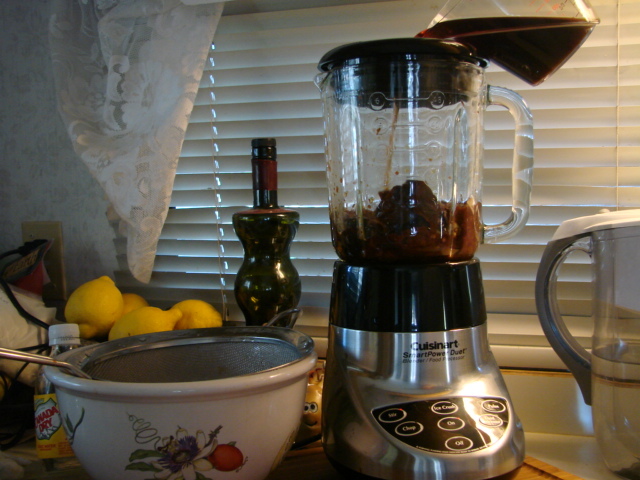 Blend until pureed. 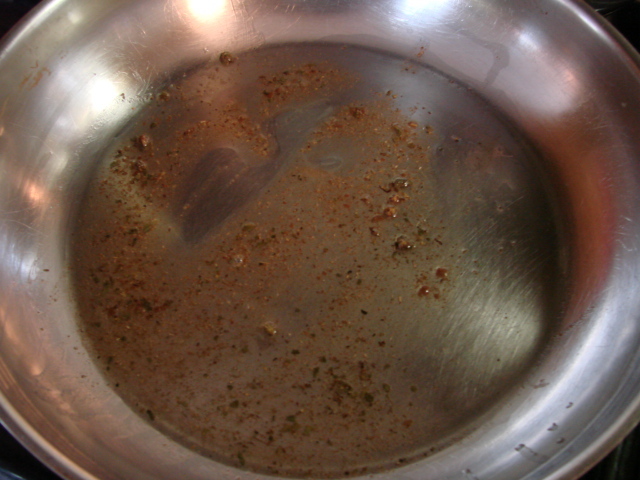 Pour into a sieve over a bowl, and rub through the sieve to eliminate any pulp or seeds. 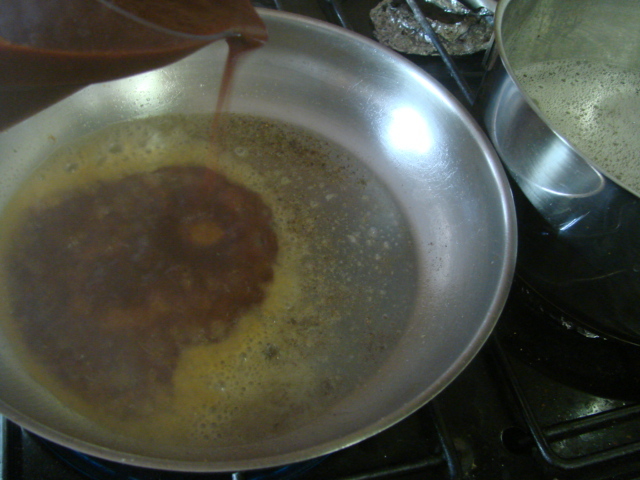 Heat the oil in a medium skillet. Add the spices and swirl around in the oil a few minutes until fragrant. 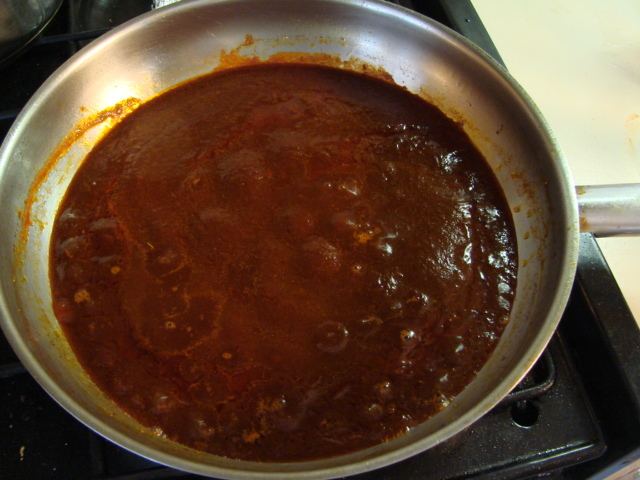 Add pureed chile and bring to a boil, reduce heat and simmer a few minutes. Here is where you may add some chicken broth if the sauce is too thick foryou. Also now is the time to adjust any seasoning. **This is how I start my enchilada sauce. Some days I feel like more cumin or garlic and adjust it from these amounts. I have fickle taste buds and rarely make it the same way twice. For baked enchiladas I would make it a little thinner, by adding some chicken broth. For flat, New Mexico style enchiladas this is a nice thick rich sauce.